"We couldn't believe our eyes." Not long ago, Jasmin had no name and was just trying to survive — but her life is totally different now. 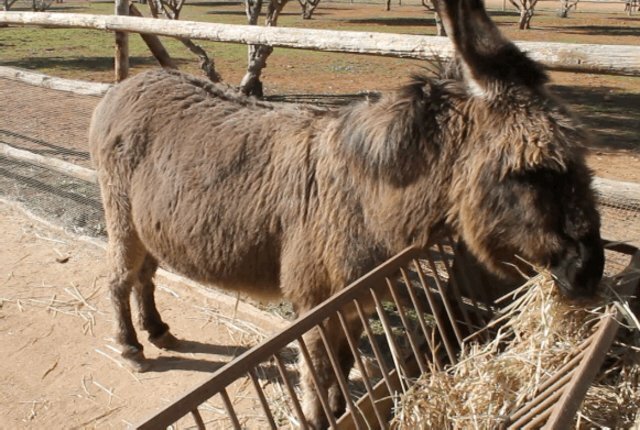 When a Good Samaritan in Cordoba, Spain, noticed a donkey who could barely walk in a field, he called El Refugio del Burrito, a sanctuary for neglected donkeys. 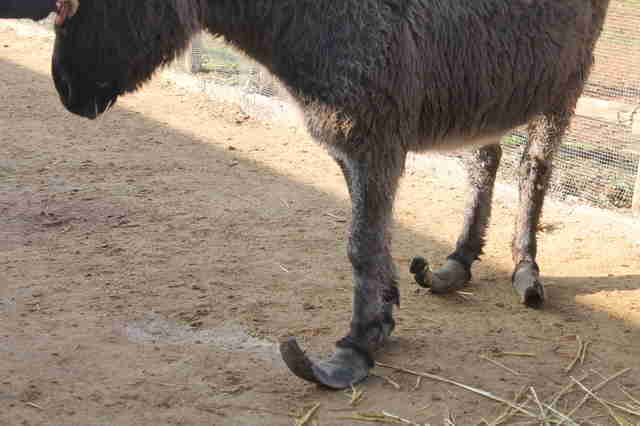 "The animal had her hooves so overgrown that she could barely walk,” the sanctuary wrote. “Her life was at risk." 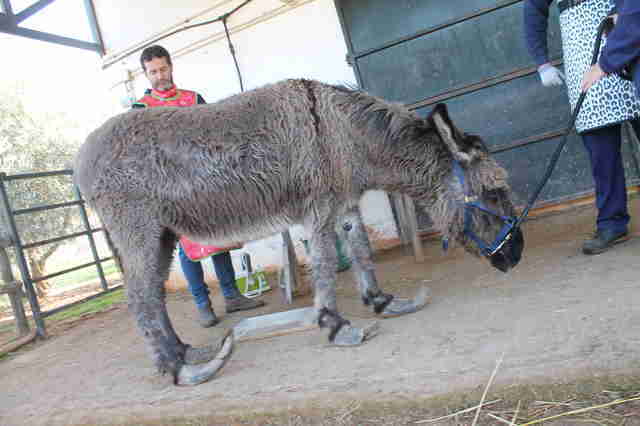 It turned out that the donkey was abandoned by a river about 13 years ago. She managed to survive on river water and the grass on the riverbank. But she had no care or medical attention. 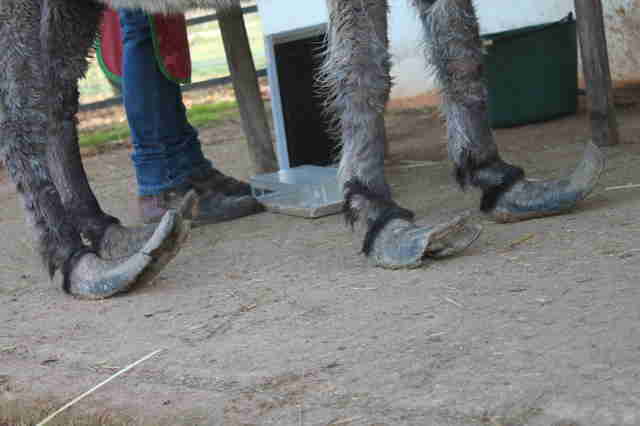 Her hooves grew and grew. 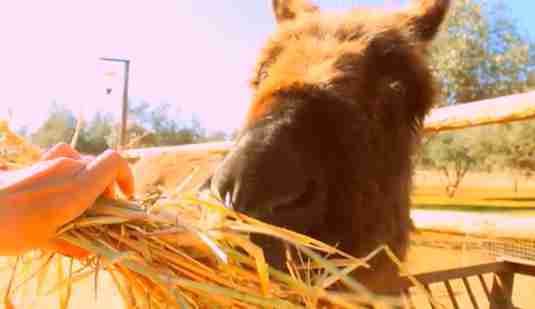 "When we found her, we couldn’t believe our eyes,” Rosa Chaparro, a spokesperson for the sanctuary, told The Dodo. "We never had such a case." 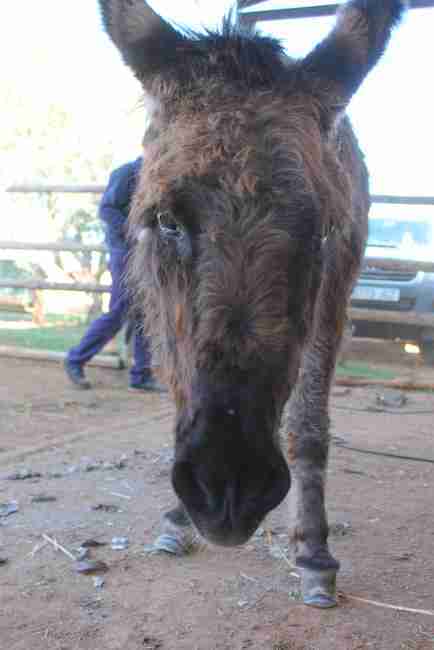 Rescuers brought the donkey to the sanctuary. As they led her off the trailer, she couldn't have known just how much her life was about to change. Sanctuary workers named her Jasmin. The procedure took two whole hours. And now Jasmin is learning how to walk normally again, thanks to her rescuers. Not only that, she’s relearning what it's like to be around human kindness. 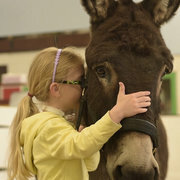 And she’s meeting the 300 other rescued donkeys who have suffered similar pasts. 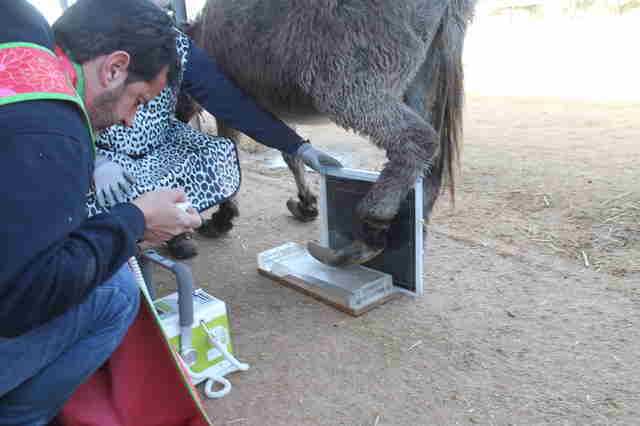 Sadly, donkeys all over the world are often overworked and then left without the love and comfort they need to survive. 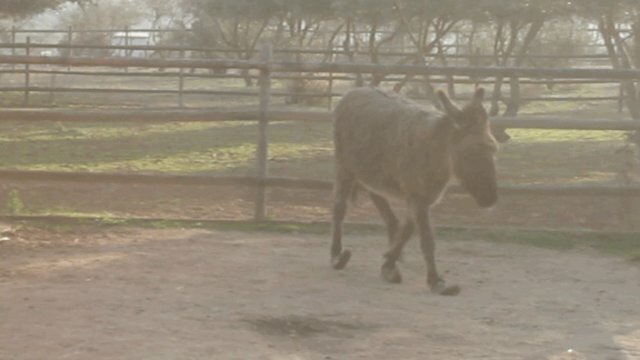 That sadness is permanently behind the donkeys at the sanctuary now. And they get all the hay they want. 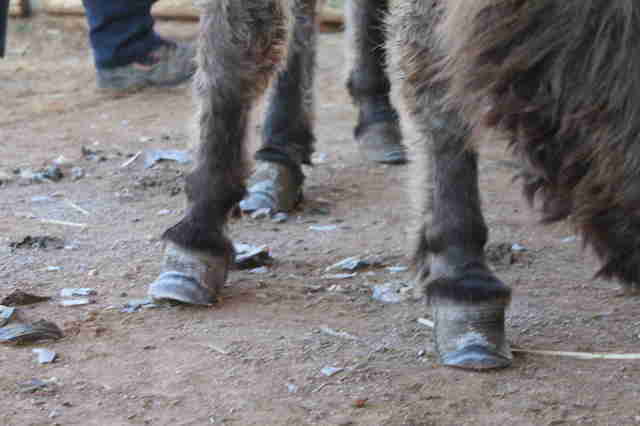 To help El Refugio del Burrito save more donkeys like Jasmin, you can make a donation.